A historical record of the Lodge from its foundation in 1842 up to 2008. It has a separate chapter for each decade with appendices giving roles of members, Masters, Other Officers lodge furniture and a host of other matters. It is lavishly illustrated with hundreds of photographs. This issue of The Canonbury Papers is the third volume to be produced by the Canonbury Masonic Research Centre, containing the papers delivered at the annual international conferences held at the Canonbury Tower, Islington, London. 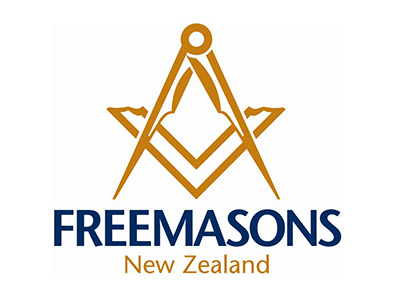 This volume contains eleven papers that were given at the sixth conference held on 6-7 November 2004 on the general theme of “Freemasonry and Religion: Many Faiths, One Brotherhood”. In addition, it also includes a paper prepared by John Acaster on the same broad theme. These papers embrace significant new British and European research perspectives on the demonstrably close connections that have existed between various religious creeds and speculative Freemasonry from its earliest days in England to the present day. Once again, it is hoped that this volume will continue to make a valuable contribution to the further development of masonic historiography. This volume contains eleven papers that were presented at the seventh conferenceheld on 5 & 6 November 2005 on the broad theme of ‘Seeking the Light:Freemasonry & Initiatic Traditions’. It includes, in addition, an extended Foreword by Professor Andrew Prescott that sets the papers in a broader academic context. On the feast of St John the Evangelist, 27th December, 1813 – at the Freemasons Hall in Great Queen Street, London – two rival English Grand Lodges were united into a single body, known since as the United Grand Lodge of England. Of course, the meeting was held between Christmas and New Year – so it was not until the early months of 1814 and throughout that year and beyond, that the union could begin to be consolidated. It is thus appropriate that this Prestonian lecture, which runs throughout 2014, should take as its subject the 200th anniversary of this momentous event in English and indeed, worldwide Freemasonry. This book traces events leading to the union and then to covers some of the changes that were effected in the short, and necessarily, the longer term thereafter. Change on the scale required could not possibly be achieved in but one year – hence, events beyond 1814 must be included. The story is presented through the perspective of three individuals, each of whom played an important role in the union. They were Frederick Augustus, Duke of Sussex – the first Grand Master, William White, the first Grand Secretary and Sir John Sloane, the first Grand Superintendent of Works. Also included in this work is a summary of the events leading to the division in Grand Lodges. A superbly presented volume (380 pages) issued by the Grand Loge Nationale Francaise to celebrate its centenary in 2013. The text is in French but the book is lavishly illustrated with historic items, regalia and other items of Masonic and artistic interest. Of special New Zealand interest are a couple of pages of photographs and documents of the NZEF Masonic Association activities in France during the First World War. • What is the historical origin? • What kind of institution is it? • What are its aims? Fabio Venzi aims to answer these questions with careful and rigorous analysis of historical documents and Masonic evidence. From the point of view of the origins, he examines many documents, particularly those of British origin, and from these it appears that the foundation of modern Speculative Masonry was drawn from multiple sources, the most fundamental of which was Neo-Platonism with all its philosophical currents. Freemasonry, however, in itself stands as a continuation of the esoteric initiatory Tradition of the West. In this sense, then, the author says that Freemasonry is a Traditional association, whose nature is esoteric initiation. The book contains analysis of the symbols and rituals that follow various esoteric currents, including, in particular, Hermeticism, Kabbalah, Alchemy and the Rosicrucians; symbolic allusions and also refers to the Mysteries of Ancient Greece. The main aims and founding of Freemasonry, then, are those specific to each esoteric initiatory association which aims for the improvement of knowledge, both ethical and metaphysical. This ground breaking work by Fabio Venzi, is invaluable for its wealth of historical and analytical content; it allows the reader to understand what modern Masonry truly is and what its goals are in the current era. Fabio Venzi, a distinguished writer and essayist, was born in Rome in 1961. He graduated in Sociology at the University of Rome “La Sapienza” disserting about relationships between Italian Masonry and Fascism. He is the founder and editor of the philosophical Masonic journals De Hominis Dignitate and Quattuor Coronatorum, and from 1998 to 2001 worked as historical consultant for a series of studies on Southern Italy for Edizioni d’Arte in Rome. • Let go of old, ineffective strategies; adopt a revolutionary new approach to membership, recruitment and retention; promote your lodge online; find those candidates who are already looking for you. entertainment and advancement in Masonic knowledge in equal measure … I would never have thought it possible for a triple initiation to work so well … just like a ballet with each movement ensuring that all three initiates had a personal involvement at all times … this was something special … a terrific evening … my guests said they had never seen anything like it … really enjoyed it … a resounding success by any standards … thank you for enabling me to attend such a fantastic meeting … What a good night! … a truly wonderful meeting. If you really want the truth behind all the myths and misconceptions about Freemasonry this book is for you. Secret Handshakes and Rolled-up Trouser Legs takes its title from the fact that the few things that most non-Masons are able to say about Freemasonry are that it is a secret society, whose members attend meetings where they wear aprons, identify each other by secret handshakes and roll-up their trouser legs. The book does not set out in any way to proselytise; neither does it attempt to justify the case for the existence of Freemasonry. Indeed, having read the book, the reader may well still continue to be left feeling antagonistic towards the Order – but at least he will be better informed as to the reasons why. Appealing not only to the non-Mason inquisitive about Freemasonry but also to the relatively new Freemason who wants to know more about the organisation he has joined. Written by a senior Freemason with the non-Mason specifically in mind, the book attempts to redress the balance by providing an opportunity for the reader to find out what Freemasonry is all about, it also provides a source book for the Freemasons who may need to answer questions asked by friends and family. • How do you become a Freemason ? • Why do Masons wear aprons? • What really goes on in a lodge room? • Why do Freemasons roll up their trouser leg? • Is there really a ‘funny handshake’? • Are there such things as woman Freemasons? • Do Freemasons really get the best jobs, get off speeding tickets and always get planning permission? It also contains information on subjects including P2, the Priory of Zion and Freemasonry’s compatibility with religion.